Agrippa Instructing His Pupils Mathematically', 1553, (1936). 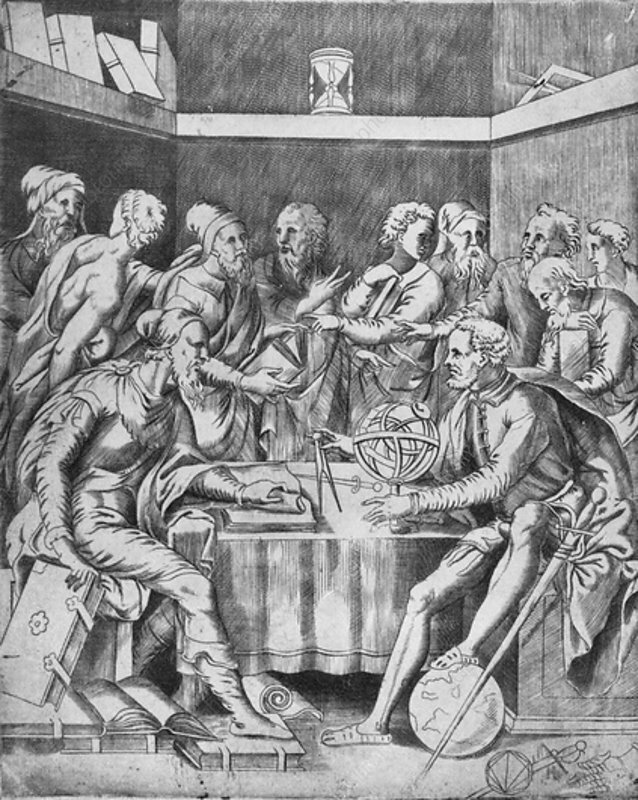 The frontispiece of the Treatise on the Science of Arms with Philosophical Dialogue by Camillo Agrippa, published in 1553. The design has been attributed by Torquato Tasso to Michelangelo. Camillo Agrippa was an architect, engineer and mathematician of the Renaissance. From The Connoisseur, Vol. H. Granville Fell. Studio, London, 1936).